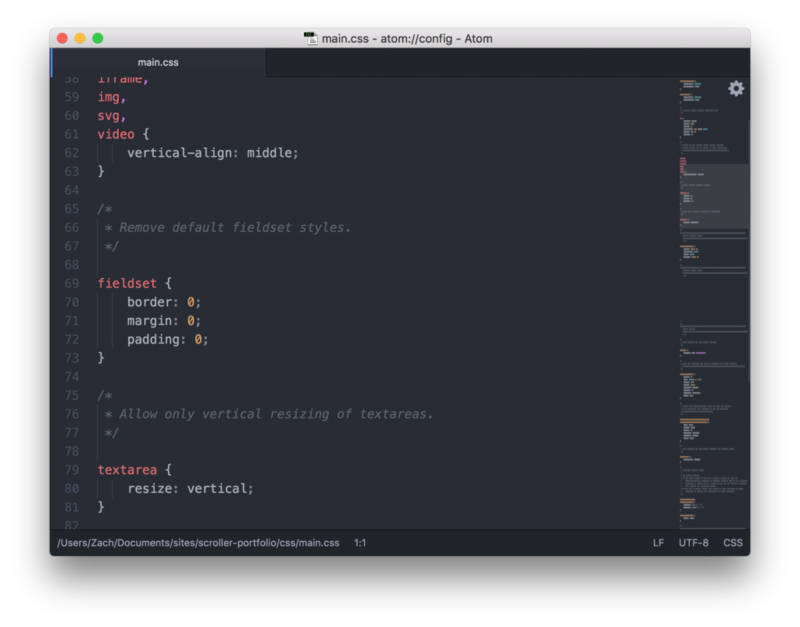 When Atom was officially released last year, in June, I knew it was going to be a text editor that I needed to give a try. Little did I know that it would quickly become one of my favorite text editors of all time. Not only does it have the incredible backing of the entire GitHub community, for additional add ons to make the editor even more powerful, it is also 100% free. With Atom having so much customizability, it can be hard to figure out exactly how to get started. Here are a few nifty add ons that can help speed up your workflow and just overall make coding a more enjoyable experience. Pigments is a wonderful little package that shows the color of the hex code or RGB color you have in your CSS. I find this extremely helpful when quickly looking through my styles for a specific color. Whenever you are in need of a color, but don’t want to open up an external program or use a web tool, color picker can be your best friend. If you right click and select color picker or use the shortcut CMD + SHIFT + C, a color picker will then appear and you can pick any color of your hearts content. 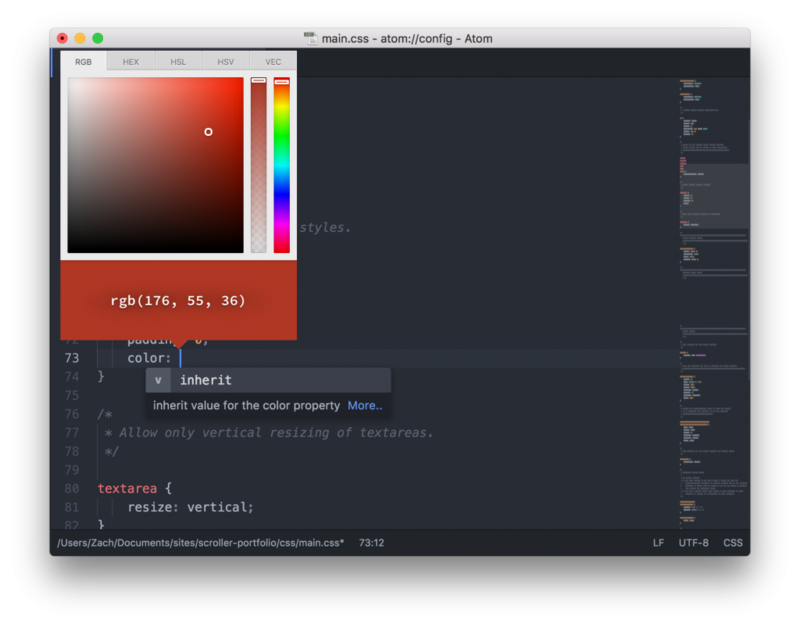 In all seriousness, color picker is a great tool and is a requirement for myself on any of my Atom installs. These are my three favorite, and pretty much essential, packages for my work flow. If there wasn’t a package here that you consider essential, let us know in the comment section down below. Thanks for reading and have a great rest of your day. 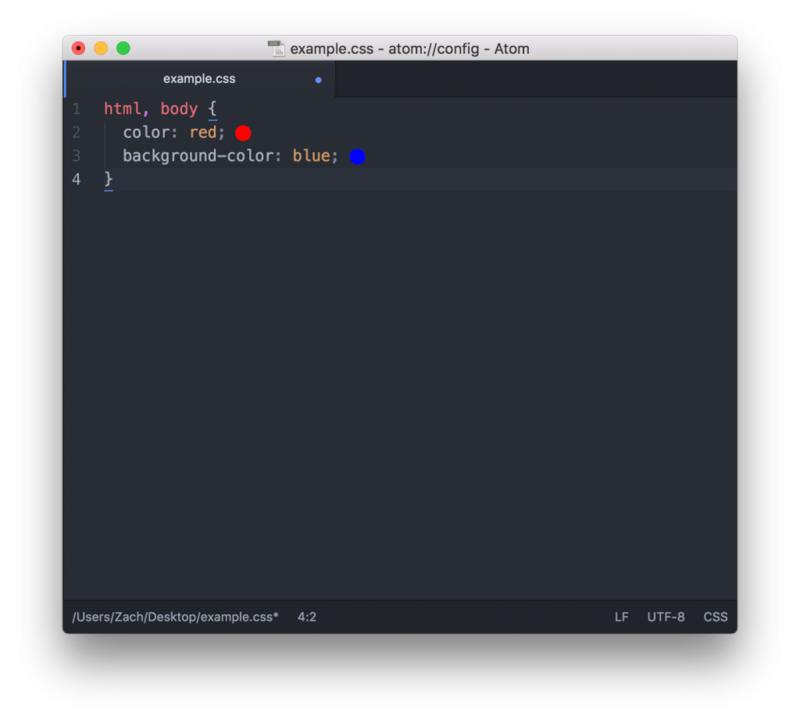 This entry was posted in Web Design and tagged Atom, Atom Editor, Atom Settings, Atom Text Editor, GitHub, My Atom Settings, Setting up Atom, Setup, Text Editor. Bookmark the permalink.